On March 16, 1802, Congress approved legislation establishing the United States Military Academy at West Point, one of the oldest military service academies in the world. 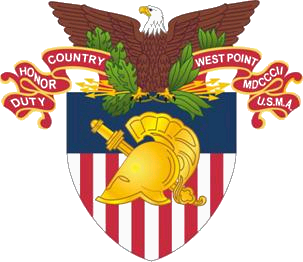 Strategically located on the west bank of the Hudson River approximately fifty miles north of New York City, West Point was first garrisoned in January 1778 and is the oldest continuously occupied military post in America. George Washington transferred his headquarters there in 1779 as a Revolutionary War outpost. In 1780, Benedict Arnold, then in command of the post, tried unsuccessfully to betray it to the British. The United States Military Academy at West Point (also known as USMA, West Point, or Army) is a four-year coeducational federal service academy located at West Point, New York. Established in 1802, USMA is the oldest of the United States's five service academies. The military garrison at West Point was occupied in 1778 and played a key role in the Revolutionary War. The academy sits on scenic high ground overlooking the Hudson River, 50 miles (80 km) north of New York City. The entire central campus is a national landmark and home to scores of historic sites, buildings, and monuments. The majority of the campus's neogothic buildings are constructed from gray and black granite. The campus is a popular tourist destination complete with a large visitor center and the oldest museum in the United States Army.